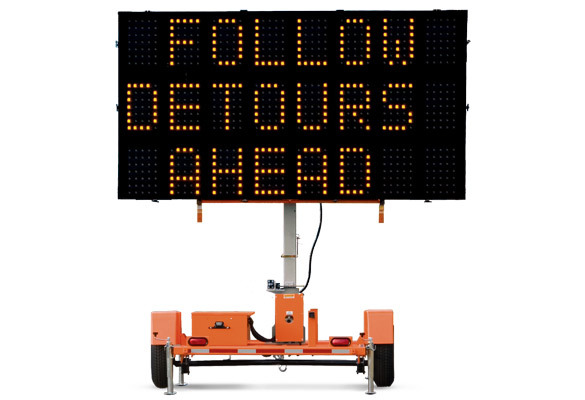 Ideal for large roadwork projects, public events and more, these full-size signs feature a large display, exceptional visibility and versatility. Meets MUTCD. Perfect for text messages in one, two or three lines of eight characters or less. Select from programmed messages or create your own. Meets MUTCD. 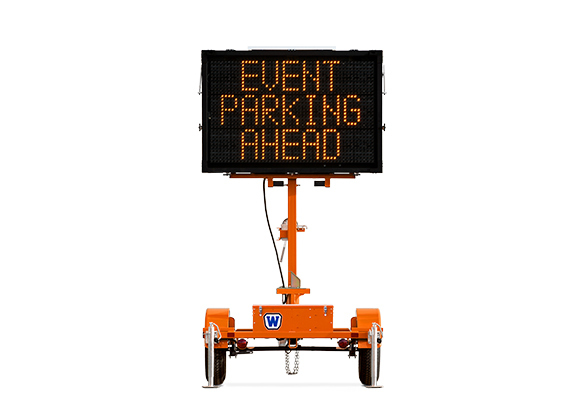 A smaller version of our full-size signs, Mini Matrix signs weigh less and can be towed by most vehicles. 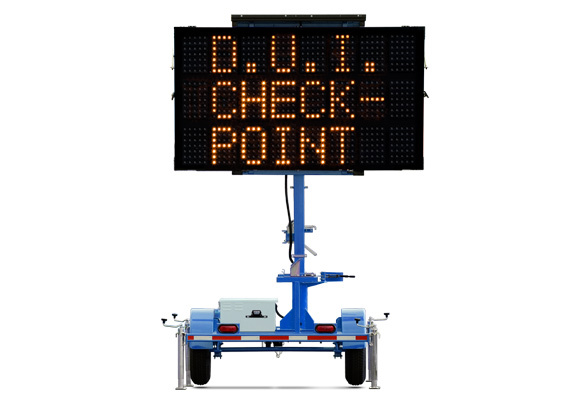 Mini signs have the same features as our full-size signs. 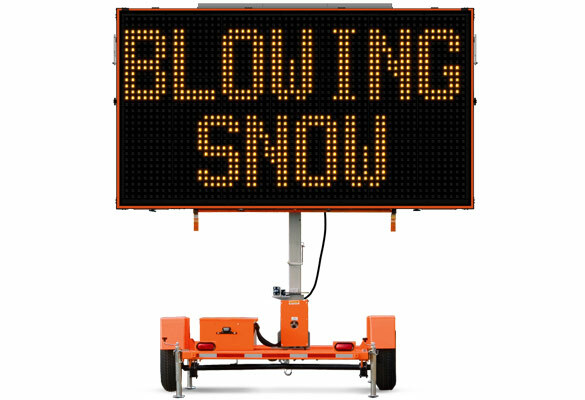 A smaller version of our full-size signs, Mini Three-Line signs weigh less and can be towed by most vehicles. 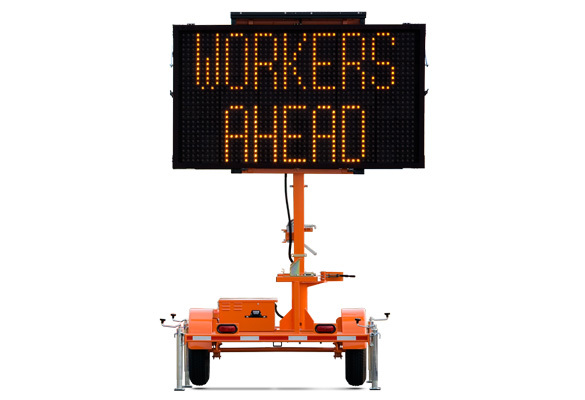 Mini signs have the same features as our full-size signs. 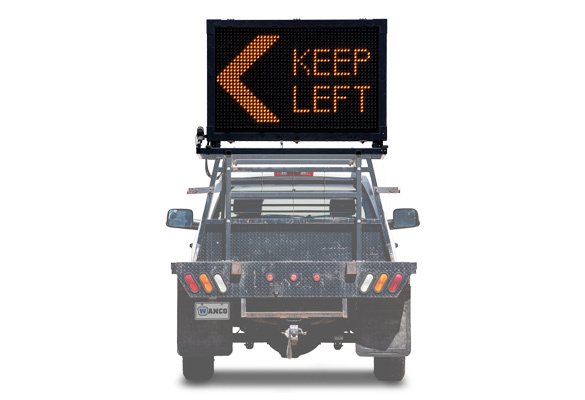 Designed for use in urban areas where trailer size is a concern, Metro signs have the same legibility as our other signs, and are easy to deploy in tight spaces. 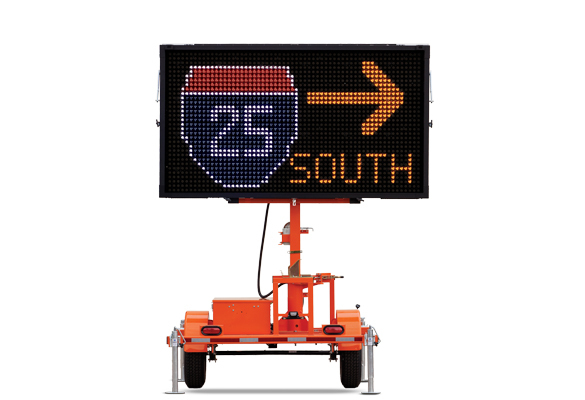 Five-color matrix display allows you to display bold messages with text, graphics or a combination of both. Includes software for creating custom messages. For use in urban areas where size is a concern. Easy to deploy in tight spaces. 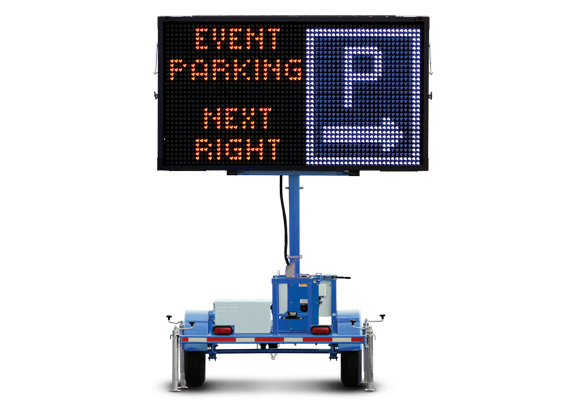 5-color matrix display allows for bold messages with text, graphics or both. 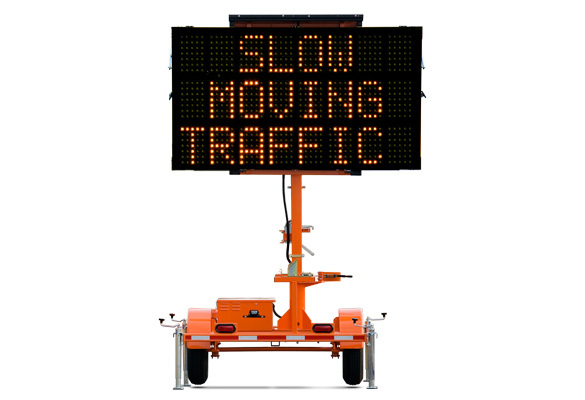 Full-matrix signs in two sizes for text and graphical messages. A touchscreen controller inside the cab provides easy access to control the message sign. For installations where portability is not desired. The Wanco Fleet Manager service provides remote access for monitoring and controlling a single or multiple signs. 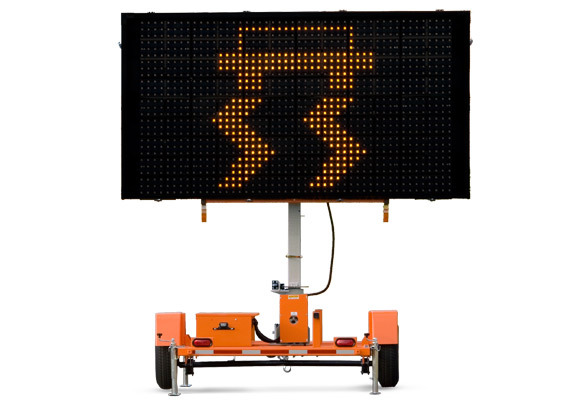 Add remote-video to our full-size message signs for monitoring roads and highways. Allows real-time remote access and control of both the camera and sign. 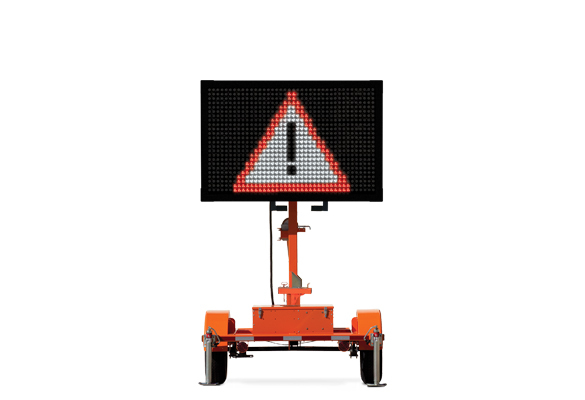 Add remote-video to our mini message signs for monitoring roads. 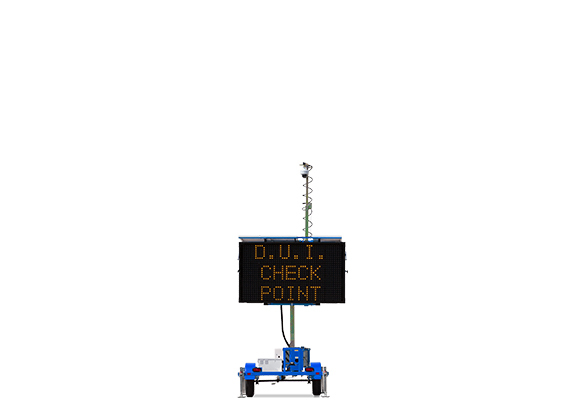 Allows real-time remote access and monitoring of both the camera and the message sign. 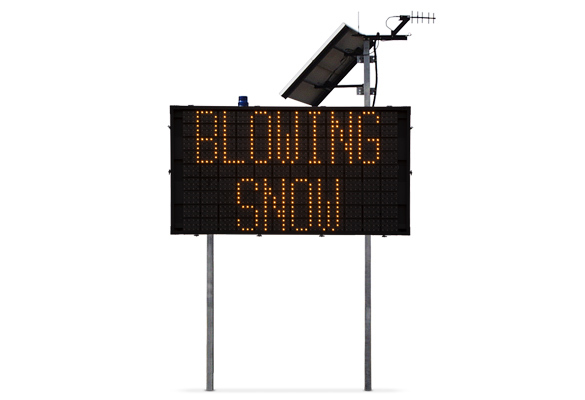 Approved for use in Ontario, Canada, our MTO matrix sign features a larger display than our full-size signs, with all the same functionality. MTO approved. 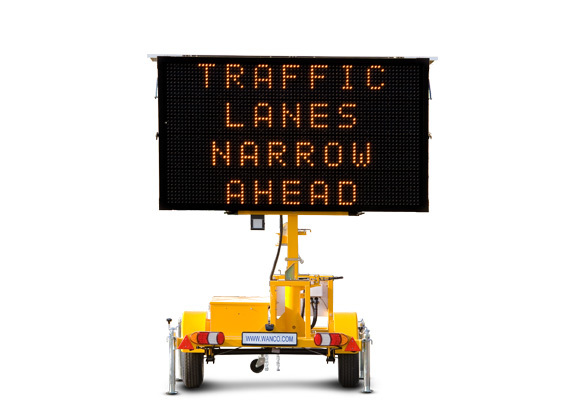 A smaller version of our full-size signs, Mini 3-Line signs weigh less and can be towed by most vehicles. 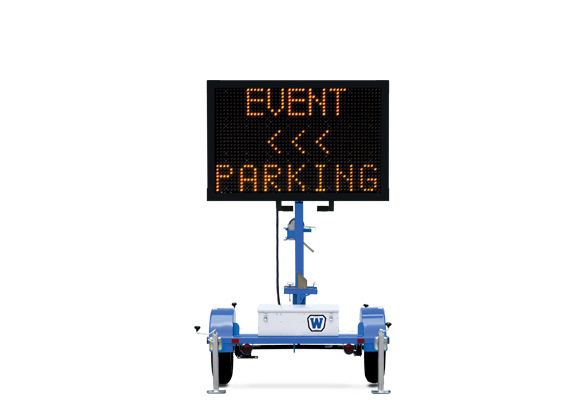 Mini signs have the same features as our full-size signs. 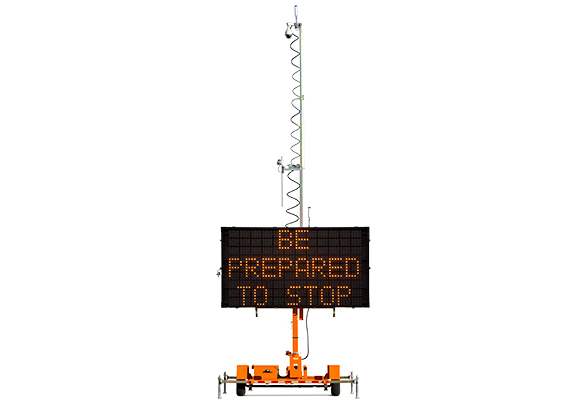 Remote-video and our mini message signs for public safety agencies. 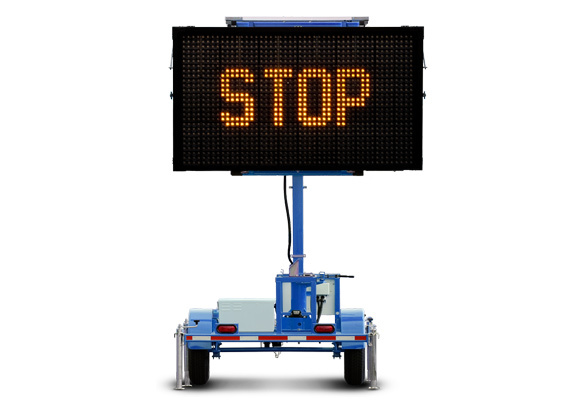 Monitor traffic, change the message displayed on the sign, and control the camera remotely. Specially designed for international use, with features required across Europe and elsewhere. Reliable with exceptional legibility in multiple languages.